You don’t necessarily have to believe in ghosts to find them spooky. Sometimes seeing something odd out of the corner of your eye is all it takes to ignite the imagination. If there’s scarier place to set up camp in than in the shadow of an abandoned mansion I can’t imagine where such a place might be located. Ms. Ferrante convincingly builds up the tension from the very first scene, and there’s never a dull moment as the hiking group settles in for the night. It was difficult for me to determine the best age recommendation for this book. While the main characters are seniors in high school, certain plot points are resolved more quickly and easily than I would expect from a horror novel written for teens. The tone of this piece seems to be geared to a younger audience, but the violent content makes makes me reticent to recommend Terror at White Otter Castle to anyone under the age of 12. This is not a good selection for middle school readers who are sensitive or brand new to the horror genre, although I do think it will be appealing for most students in that age bracket. The unexpected ending drew me back into the intrigue I felt when I read the opening scene. Ms. Ferrante struck a good balance between explaining what was happening and allowing the reader to bring his or her own interpretation to the chain of events. It also reinforced my hunch about the age group for which this tale was originally written. 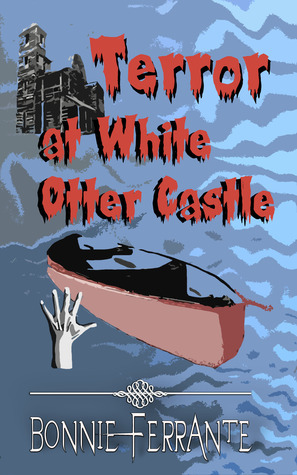 Terror at White Otter Castle is a good choice for anyone who loves contemporary young adult horror.